A really fun show in Hollywood Studios is the American Idol Experience (located near the hat and the Great Movie Ride). Even if you are not a fan of the show, you'll have a great time - and find someone to cheer for. 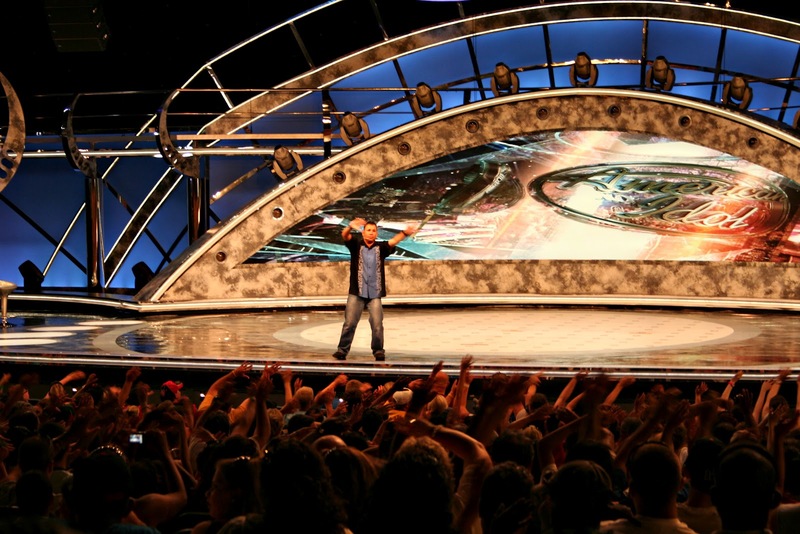 The show takes place several times a day - with the first one usually around noon. Shows last about 20 minutes. The winners from each show then compete during the last show of the day with the winner receiving a "dream ticket" which gets them to the front of the line at any American Idol audition across the country. And actually, (if you are a fan of the show!) 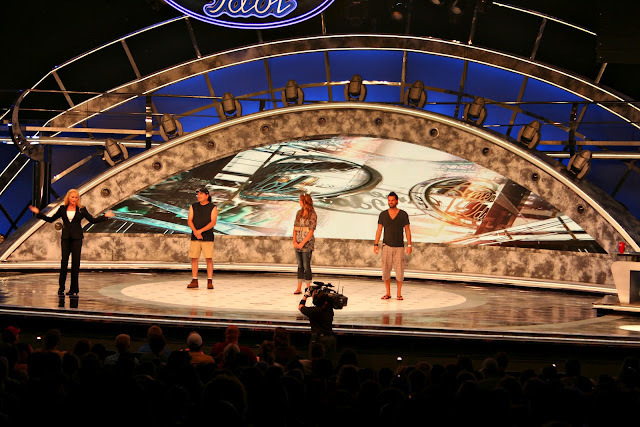 this past season of American Idol had 4 of the top 13 that auditioned were dream ticket winners! My kids like to arrive about 30 minutes before the show because they tape messages from the performers' "fans" while you wait. And my kids are all about getting some screen time. They also like to be there early so they can sit in the front row - as that also gives one the opportunity for more screen time. Will explain that shortly! After you are seated, a guy comes out to warm up the crowd (hey - is there a name for that person? I am guessing that "warm-up guy" isn't it!) - gets everyone dancing and moving and then he explains how the voting works. And this is the second opportunity for my kids to be on the big screen. Several times they have been chosen to help with the instructions. 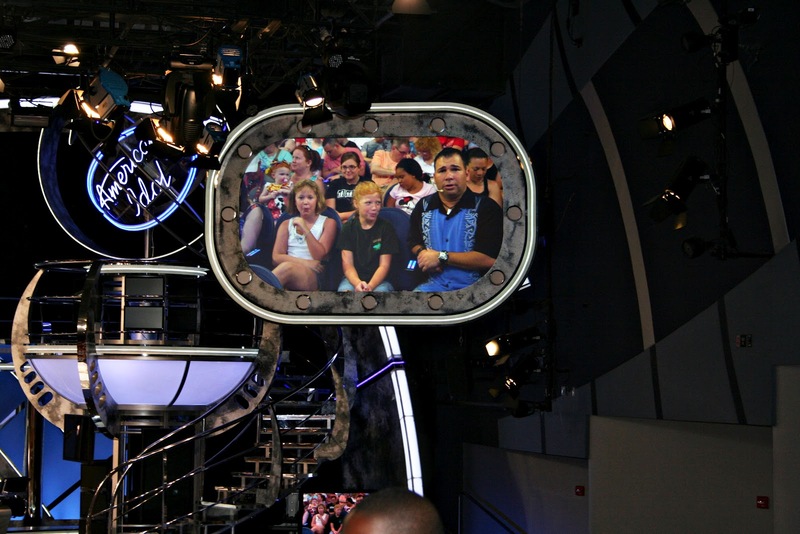 The show itself is a shortened version of American Idol. Complete with Ryan Seacrest like host. And three judges. One of which is like Simon Cowell in his snarky remarks to the contestants. 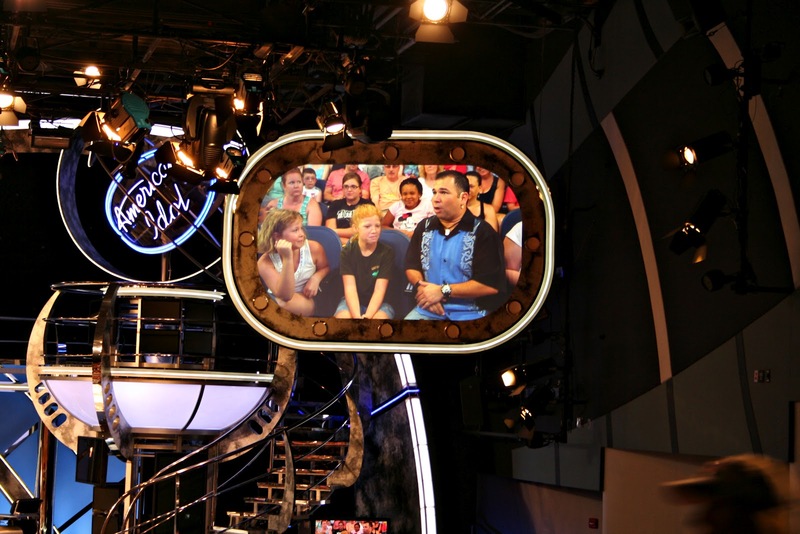 After all the contestants have performed and the judges commented - the audience gets its turn to send the winner to the final show of the day (or if you are at the final show then you are voting on the dream ticket winner). So...what about you? Do you like American Idol? 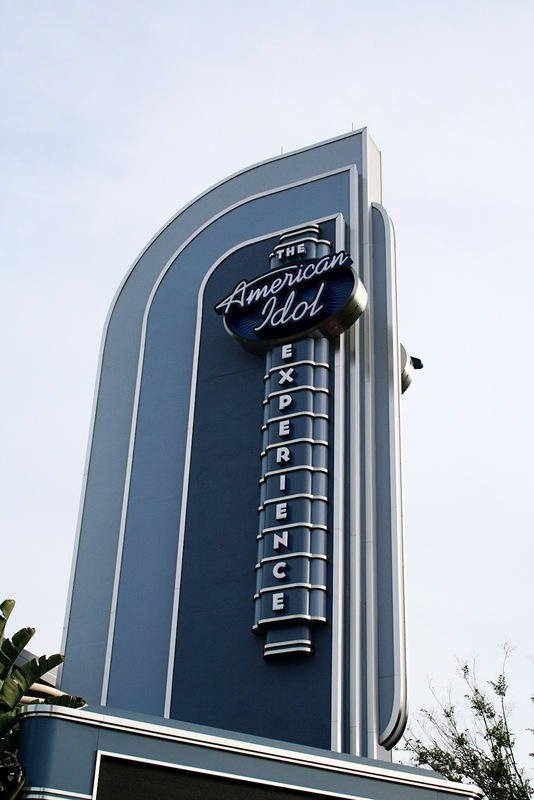 Have you seen Disney's American Idol experience show? This was a fun walk through! Thanks. We haven't tried it yet... sounds fun.